Is A Down Payment Required For A VA Loan? There is an exception to this rule however. In order to have a VA loan that does not require a down payment, the buyer must not borrow more than the loan limit of the county they live in. Loan limits are not in place to cap how much the borrower can use to finance their home; they function to limit the overall amount of liability that the VA will assume. For example, let’s say you live in San Diego. The maximum $0 down limit for 2014 is $527,500.00. In this scenario, if you wanted to buy a home that cost less than $527,500.00, you would not need a down payment. On the other hand, if you wanted to purchase a home that cost $568,750.00, you would need a down payment of $16,500. This is equal to 25 percent of the loan amount above the county limit. Although a down payment is not required, consideration, however usually is. Consideration is a deposit also known as an earnest money deposit. Due when contracts are signed, the best way to understand an EMD is to look at is as something of value (financial) given to the owner in exchange for the promise of sale. Not a down payment, consideration can be applied to the down-payment if you are required to make one. Consideration paid can be refunded if the property transaction is finished (either closed or rescinded). The possibility of which is based largely on the terms of the contract. 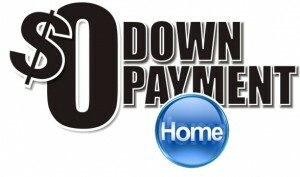 Why is a down payment not needed? A down payment is not needed for VA home loans because the Veterans Administration guarantees that the lenders loss will at the very least be partially recouped in the event that there is a default (foreclosure or short sale). This guarantee amounts to 25 percent of the initial loan investment, up to $417,000 or 125 percent of the median sales price for homes in the same areas as the purchased property. The presence of this guarantee enables financing to be more widely available to veterans, it also allows for more favorable underwriting guidelines when compared to traditional loans. To determine your eligibility for the VA home loan contact VA Home Loan Centers today!